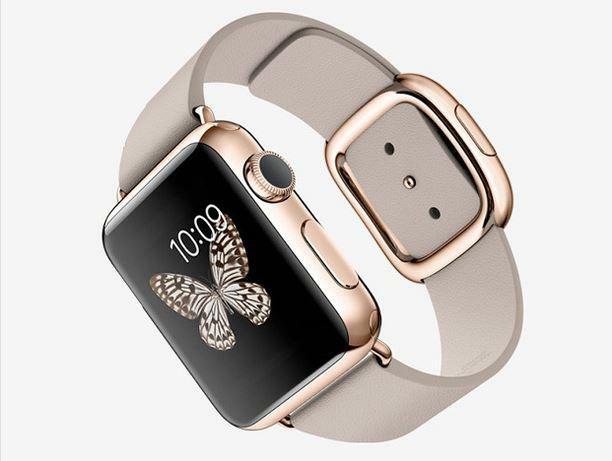 Apple Watch: Must-have customer app or another gimmick? With Apple’s new smartwatch release only weeks away, the pressure is on big brands to align their app development with the wearable’s global media frenzy. But are marketers being too quick to jump on the smartwatch bandwagon? Ease, convenience and quicker access to information have been cited as major reasons why a flurry of big names in retail, property, hotel and travel sectors have already released apps in time for the smartwatch’s launch including Starwood, Qantas and Woolworths. However, a recent report warns if people don’t adopt, buy and then upgrade their Apple Watches, any discussions about how best to connect, engage, and monetise will be irrelevant. According to the recent Incite report by Matt Piggott, Apple Watch: A Marketer’s Perspective, it’s widely accepted that the wearable will need to be more intuitive than the traditional iPhone, with push notifications assuming a more active role in brand-to-user communications. But one of the main challenges for both native and third-party developers in the smartwatch sector will be to create content that’s personally relevant to the user, and delivered in a non-intrusive manner, the report stated. Qantas is one of the first Australian companies to produce a personalised app for the Apple smartwatch. Through the new app, customers will receive notifications telling them of gate changes, what carousel from which to collect their baggage, and up-to-the-minute information on their journey. Hospitality chains, the InterContintental Hotels Group (IHG) and Starwood Hotels, have also launched their app products in time for the watch’s release. While the Starwood Hotels app is designed to help travellers check in and enter their rooms with a simple swipe of their watch, the IHG Translator App gives consumers access on-demand translations virtually anywhere in the world. IHG claims the app will allow users to ‘travel like a local’, whatever their choice of device. By speaking directly into the watch, or selecting from a range of pre-loaded common phrases, travellers will be able to translate from English into 13 different languages in real-time. Translations will appear instantly on the screen of the device in the chosen language, giving users the chance to read the word or phrase, with the help of phonetic spelling. Formal, casual and slang settings will also be available. Australian real estate site, realestate.com.au, was also quick to announce the release of its own smartwatch app. Aimed at making inspecting properties easier, the app includes GPS functionality, the ability to voice record notes, and will alert buyers to homes for sale at a simple glance at their wrist. Chief product officer at REA Group, Henry Ruiz, said the experience is designed to work in partnership with the iPhone app, so that the user can be ‘hands off’ while glancing at their watch, then access more details on their mobile. For a marketer, choosing the right time to engage with the always-connected Apple smartwatch user will be as important as choosing the right tone in which to speak to them, Piggott’s report stated. The report highlighted fresh data fed through the right algorithms could be the ‘golden ticket’ for successful future engagement. But it also warned it will take time to gather the right information. According to vice-president and principal analyst serving infrastructure and operations professionals at Forrester, J. P. Gownder, the wearable’s functionality could make it attractive to retailers as an effective platform for proximity marketing. “Retailers really don't like customers looking at their phones, because they could easily be conducting a price check for lower prices elsewhere,” he said. “So the Apple watch is an attractive option for beacon-based marketing - pushing promotions or information to the customer at their exact moment of need. According to Piggott’s report, if things add up for the new smartwatch, then the key issue for marketers is creating a seamless cross-platform experience for users. The report stressed cross -platform flexibility will be the key challenge for brands who want to effectively reach consumers via the new smartwatch. While he believed the Apple Watch will never be as big as the iPhone, Gownder said it will be a potentially interesting node on the “all-body network” that is the ecosystem of wearables and traditional mobile technology. For those already established in the smartphone space, Piggott’s report suggested a real fear is alienating followers when porting existing apps to the Apple smartwatches. For brands reliant on reaching consumers through connected devices, discussions about how best to start new relationships, as well as enhance ongoing ones, will involve a great deal of qualitative and quantitative analysis. Zeus Unwired founder, Rob Marston, saw the watch as still “a bit of a gadget and a bit gimmicky” in the current tech ecosystem. “But it’s a first step into a market that is already there, there is already demand and there are already people using them,” he said. Marston pointed out that while the watch is about having a quicker and easier experience, app capability still exists on the mobile phone. Will the smartwatch have consumer longevity? The Piggott’s report predicts Apple sales will generate a pan-industry rising tide that will not only lift, but buoy sales of other smartwatch brands. Apple Watch sales figures already look promising and pre-orders for the watch eclipsed the entirety of smartwatch sales for 2014 by a factor of nearly 10 to one. Gownder partly attributed this to the wearable’s older, more consumer-driven target market, which has enough disposable income to afford a premium-priced product. “The initial target market is wealthy, $100,000 or more a year, educated, generation X consumer that is technology forward,” he said. “These are people who care about status, embrace new technologies, and can afford to buy a relatively expensive additional device. Marston saw initial uptake coming from the early adopters of Apple technology. But Woolworths digital marketing manager, Katrina Colpo, is confident the new smartwatch technology has consumer longevity, which is one of the reasons why Woolworths decided to quickly invest in this space. Woolworths’ new ‘Woolies Shop Glance’ app claims to offer a more convenient and efficient experience by showing customers key convenient data points such as their nearest store, opening hours. It also offers added shopping list capability, which can be sorted according to aisle so the customer can navigate the store more quickly from the convenience of their wrist. Both Bilue and Neotony collaborated with Woolworths to develop the app. According to director and principal consultant at Bilue, Cameron Barrie, the new wearable will take traditional mobile interaction to a whole other level. Barrie also claimed Bilue is already receiving enquiries for further app development from the health tech space as well as the financial services industries.